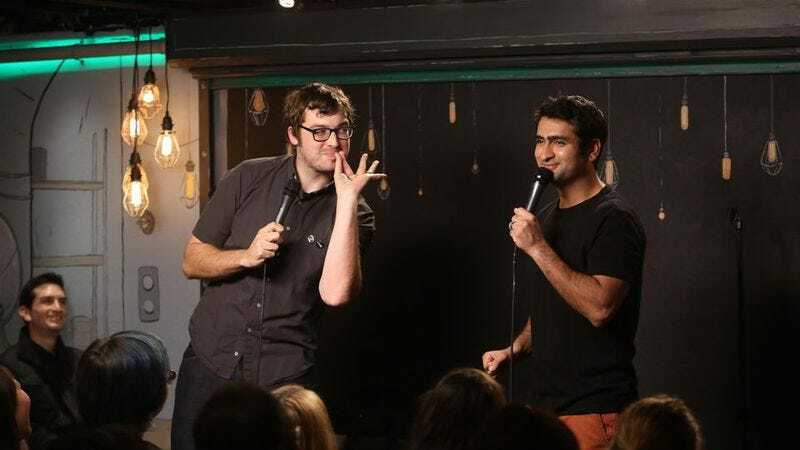 Jonah Ray and Kumail Nanjiani have announced that they’re ending their long-running, L.A.-based stand-up showcase The Meltdown (and, presumably, the Comedy Central show that’s based off of it). The duo made the announcement on The Meltdown’s blog today, declaring that “the sun was setting” on the show. Located in the back of Meltdown Comics in Los Angeles, The Meltdown began running on Wednesday nights back in 2010. It’s since become one of the hottest stand-up scenes in L.A., with Nerdist co-host (and future Mystery Science Theater 3000 star) Ray and the prolific Nanjiani playing host to stand-up stars like Maria Bamford, John Mulaney, Marc Maron, and dozens of other huge names in the world of comedy. Recognizing its draw, Comedy Central gave the duo a series—recently renewed for a third season—back in 2014. Nanjiani and Ray didn’t explicitly say that the Comedy Central show was also ending, but, given that it’s entirely made up of footage shot at Meltdown shows, it seems safe to assume that it’ll conclude once the third season has aired. Ray, Nanjiani, and co-producers Emily Gordon and Ed Salazar took the time to thank their fans for six years of stand-up in the post, writing that “When we started this thing in 2010, we only wanted a fun place to do comedy and hang out with our friends. We never imagined how much we’d get out of this experience,” and asking that they “don’t stop being the positive badass beautiful creative motherfuckers you have been for all these years.” The final, extra-length Meltdown show will take place on October 19 at Meltdown Comics in L.A.